Important! The day of your pet’s appointment you will be asked to sign a Medical Consent Form to authorize surgery and other medical procedures for your pet. If your pet is brought to the Clinic by another individual they will be asked to sign on your behalf. Medical procedures will not be performed without the consent form signed. On your pet’s surgery day, please arrive at the Clinic between 7:30 a.m. and 8:15 a.m. You will return in the afternoon to pick up your pet between 3:00 p.m. and 3:30 p.m. that same day. For their safety, all dogs must arrive on leashes and all cats must arrive in carriers. If you do not have a carrier for your cat, a cotton pillowcase or secure box with adequate ventilation will suffice – or, drop by the Clinic in advance of your surgery to pick up a cardboard cat carrier for FREE. As your pet should not swim or be bathed for two weeks after surgery, please bathe him/her before surgery if there is noticeable dirt on his/her coat. When you arrive for surgery we ask that you keep your pet in your vehicle for a BRIEF time, weather permitting, while we complete paperwork and collect payment, prior to meeting with the Veterinarian or Veterinary Technician. You will then be asked to bring your pet into the clinic to be examined and weighed by our Veterinarian or our Veterinary Technician. Please, let us know if your pet has exhibited any signs of illness, has had a recent decrease in appetite, or is on any medication. The Veterinarian or Veterinary Technician will ask your pet’s vaccination status. All pets should be current with vaccinations (DA2PP and Rabies for dogs and FVRCP and Rabies for cats). If your pet needs vaccinations, we can administer them the day of surgery for an affordable charge. Other vaccines are available as well, please ask our Veterinary Technician for details. 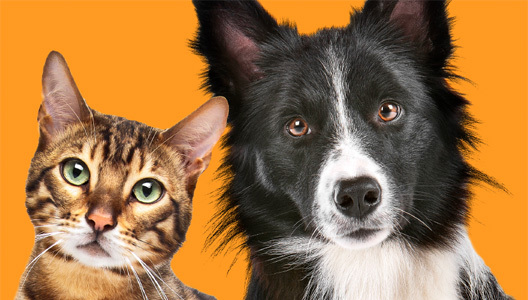 We will discuss with you the option of having your pet microchipped for a fee of $11.00. The fee includes the microchip and lifetime registration of the chip. We also sell Advantage II flea control and Frontline Plus for flea and tick control. No food after 9:00 p.m. the night before surgery or the morning of surgery, but water is fine. If your pet has had anything to eat prior to surgery (found a morsel or raided the pantry), please inform us – this is very important information for your pet’s safety. Offer a small meal (about one third of what your pet typically eats) the morning of surgery. Please bring your rabbit in a small cage or plastic cat carrier, with food and a water bottle. Rabbits have no pre-operative restrictions on food or water, and may eat as usual. Please, if you need to cancel or reschedule your pet’s appointment, call 707.252.7442 x200 as soon as possible. This will allow us to schedule appointments for pets of other responsible owners just like you. When you return to the Clinic to pick up your pet you will be given both verbal and written instructions for their post-surgery care. We accept cash, Visa, MasterCard or Discover for payment for services. The California Code of Regulations requires we notify our clients that we do not have veterinary personnel on duty at our Clinic between the hours of 4:30 p.m. and 7:30 a.m., nor do we offer after-hours emergency care. The emergency care clinic serving our area is the Solano-Napa Pet Emergency Clinic in Cordelia – 707.554.6311 – or, call your family veterinarian. Should you have any questions regarding your pet’s appointment for surgery, please feel free to contact us. Our hours of operation are Monday thru Friday from 7:30 a.m. to 4:30 p.m. We are closed weekends, however, messages left will be promptly returned the next business day. Thank you again for taking this important step in your pet’s health and for helping to end the plight of homeless animals. Together, we make Napa Humane.